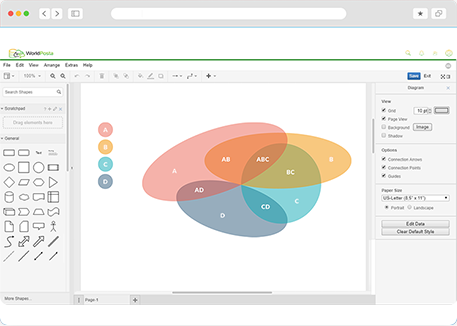 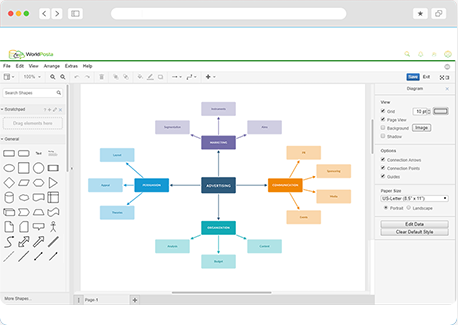 Create and Share Diagrams on the Spot. 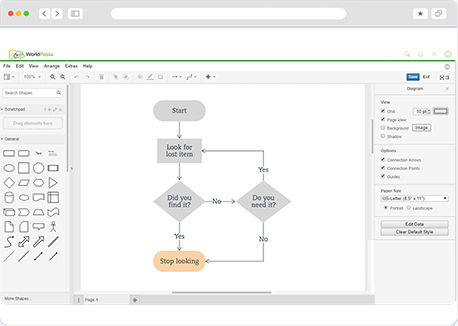 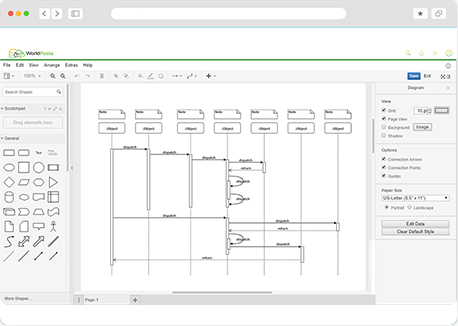 Draw.io helps you to create flowcharts, diagrams, and much more. 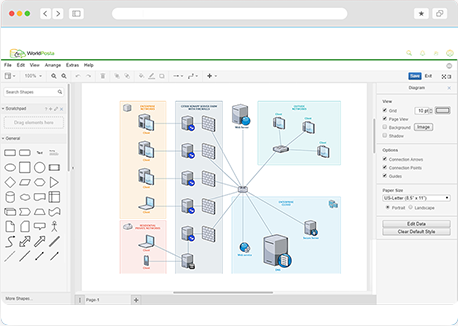 Draw.io is integrated with CloudSpace from WorldPosta. 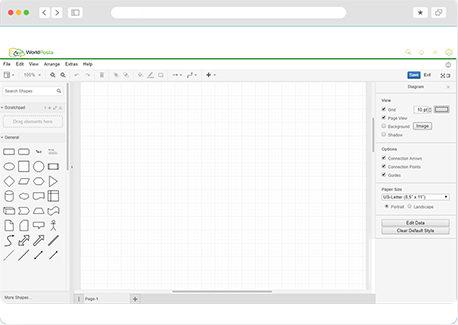 Right from CloudSpace interface, you can use the features of Draw.io platform.